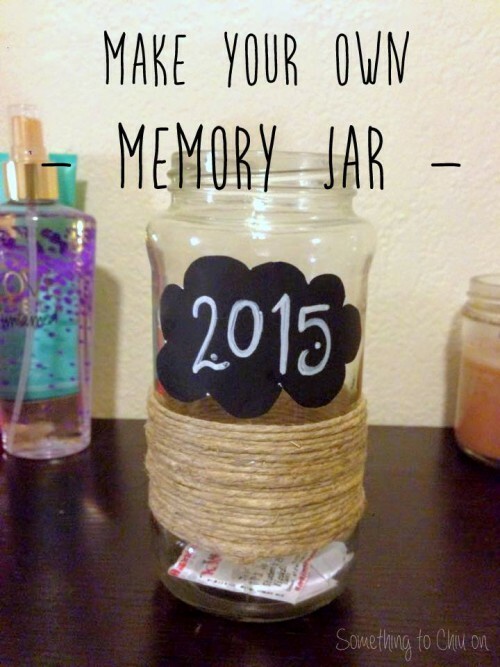 Making a memory jar is a perfect way to start off the New Year. I always like keeping all the best memories of the year in one place, like a personal year-long time capsule. You can personalize it and make it your own.I know there are a ton of tutorials on making these memory jars online, but I thought I’d do my own spin on it. I’ve actually been wanting to do this for the past couple years, but I somehow kept forgetting (or – let’s be real – procrastinating. I kept calling it a Year in a Jar in my head before learning that it already had a way better name in the DIY world.). Plus, they can be cute house decors or table decorations! For mine, I wanted it to have a rustic, Earthy feel, so I went with hemp string, black poster paper, and a white permanent marker for my materials. I just used a hot glue gun to glue the starting pint of the hemp string to the jar, then wrapped the string tightly around until I liked the height of it the hemp cover. I used my glue gun to stick the end down and cut off any excess string. For the “2015” cloud, I used a pen to draw out the shape and size I wanted on the black paper. 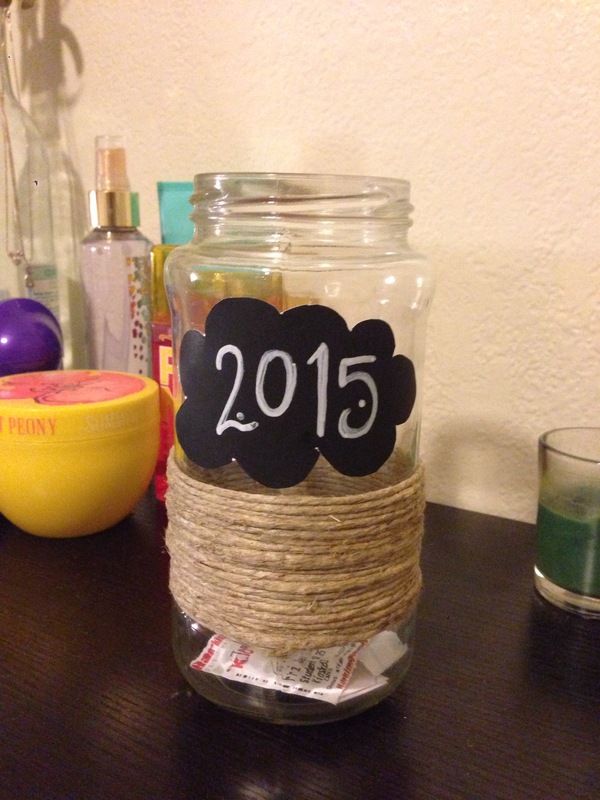 Then I cut it out and hot glued it onto the jar. Next, write down on a strip of paper when something special happens (i.e. a new job, you quit your job, graduating, finishing a school project, ect. – it can be anything!) and throw it in your jar. At the end of the year, you can go through and see all the highlights that happened in the year. You can also throw in trinkets or movie tickets – it doesn’t have to be just written-down achievements. Feel free to use my jar design it if you like, or do your own spin on it – whatever helps motivate you to make the year your best! I think i’ll add fake flowers to mine so it doubles as a vase (and it’ll give me an excuse to by flowers for myself).